February 14th is known as Valentine’s Day all around the world. Although everyday is the best time to show affection to the loved one, Valentine’s Day is indeed a special day for it. Love is in the air, Hotel Borobudur Jakarta offering several exciting, elegant, and romantic experiences including exclusive room offers, romantic dinner and beverage it all covered this February 14th 2019 on Valentine day. 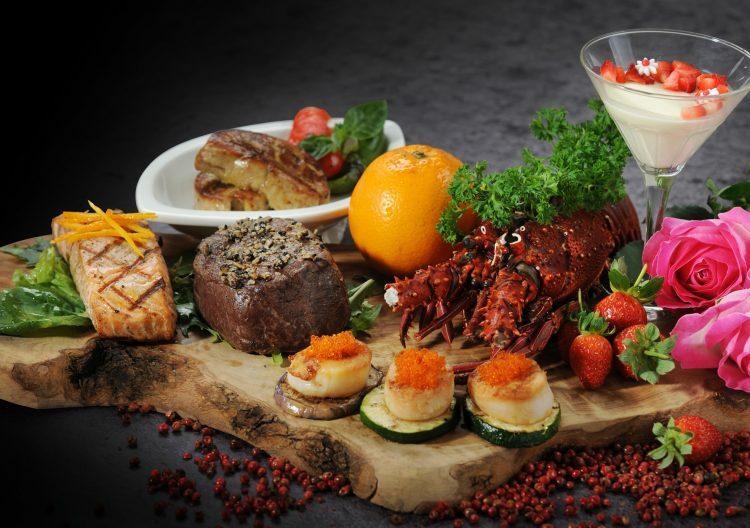 Teratai Chinese Restaurant brings back the Valentine’s Day Set Menu in Chinese style. From Boneless Roasted Duck to Special Trio Dessert for IDR 1,388,000++/couple. In Bruschetta Italian Restaurant, Valentine’s Day Special Set Menu is IDR 1,288,000++/couple enjoy course set menu, ranging from Roasted Scallops to Panna Cota. Also enjoy special Valentine beverage at all Borobudur restaurants, “Love Potion No.1” with price of IDR 128,000++/glass or go with delicious non-alcoholic beverage “Love Story” and “Endless with price of IDR 78,000++/glass. Reserve couple seat at our outlets for memorable Valentine’s Day celebration by calling +62 21 380 5555 or come directly to your preferable outlet.